This is a thread for talking about PC gaming! I've been really interested in this over the past week or so... I used to play lots of PC games when I was little (when I knew nothing about Nintendo) but since about 2008 I've been neglectful of my gaming origins. So, let's get into the talky business. I've been thinking about getting Star Wars: Dark Forces on Steam, because I'm not allowed to get Halo: Combat Evolved (pesky ESRB). Anyone remember that game? Also, this may be offensive to PC gamers, but anyone have good recommendations for PC gamepads? Right now my favorite is the Logitech F_10 series. 360 is the best PC controller. Maybe it's worth it though, 'cause my friend has an XBox 360 and ever spare controller always loses its batteries or gets chewed on by his dog. I have that dark-blue logitech controller but most games needs extra files or tweaks to get it to run. 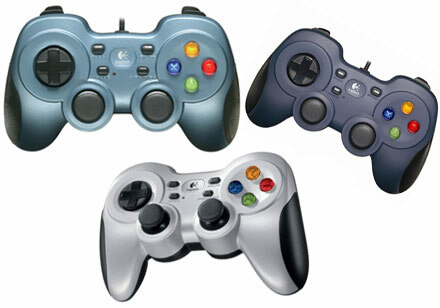 360 controllers however would be automatically detected in most new games that support controllers. I second the 360 controller. The thing is pretty much perfect. As for not getting Halo, it is really, and I mean really tame, for an M rated game. I personally find the stuff in Uncharted to be more warranting of an M rating than the first Halo game. Maybe you could work something out with your folks? Heck, Halo is played at my church, so if that's not telling, I don't know what is. I told my mom that it's tame for M, but she says I have to wait 'til I'm 15 at least. Dark Forces is great! Presumably it comes with DOSBox built in so it runs on modern PCs, but you could sort it out yourself if not. I'm really a PC gamer at heart, although I do enjoy consoles for the experiences they can offer that can't be found on PC. I'm missing it at the moment, as I don't have a desktop PC and am basically stuck with very, very old games on my laptop (I don't like gaming on a laptop at the best of times) or my DS. which are very good. However, I've never held a 360 gamepad so can't compare. I presume the ones you've put pictures up of are the newer version of the ones I've got - if they're fairly similar, they'd be a worthwhile purchase. EDIT: Also, I've never had any problems getting it to work with games. Granted, I haven't tried on any games post-2005ish, so maybe newer ones aren't so easy to get working with gamepads (as irken says). Seriously, don't. Particularly if you're going to play online - you'll get creamed, and it'll be frustrating. The wired 360 controller is around $30 on Amazon, and it works out of the box. Just plug it in and play with any Steam game with gamepad support. The only controller I have used for gaming a PC is the Xbox 360 controllers. Yes they may be a bit more but for me it doesnt matter cause I have an Xbox 360 so I dont mind having a few spare controllers around. The nice thing that I have heard that puts the 360 controller over the rest is that you can just plug it in and play. But for me most what I use is the keyboard and the mouse. As for games about the only one I really play is World of Warcraft. I do have a few other PC games like KotOR, Sims 3 and Neverwinter Nights but very rarely do I touch those games. I normally use a PS3 controller with all my Steam games. If you own one it'll work well for a lot of games that can use an Xbox360 controller. How do you connect a PS3 controller to your PC? If you really want a controller, like people said, get an Xbox 360 controller. I got mine for Super Meat Boy, works good on many other games. I too recently started playing PC games (Not that I love Nitnty any less) and I do recommend the 360 controller. It works great with many Steam games. But if you are looking to use a controller for Minecraft, I recommend that the traditional keyboard and mouse is more suited. Buy whatever controller you want and then use JoyToKey on the games which don't recognize your controller of choice. If you're still wanting a specific recommendation, I've always found that PS2 controllers still function quite well after years of use, which is why I use this little beauty. I used to have a logitech controller, the 360 controller is far FAR superior to those. Has anyone played Dishonored yet? I'm still on the fence with this one especially with the number of glitches/crashes I've encountered with their other PC games (and no I'm not getting another platform). How's the stability with this one and the gameplay so far? Honestly nothing really has piqued my interest lately. Grim Dawn just went on Steam Early Access, that was all I was looking forward to. EveryquestNext is going to rule my world when it is released (unless it turns out to be terrible haha).